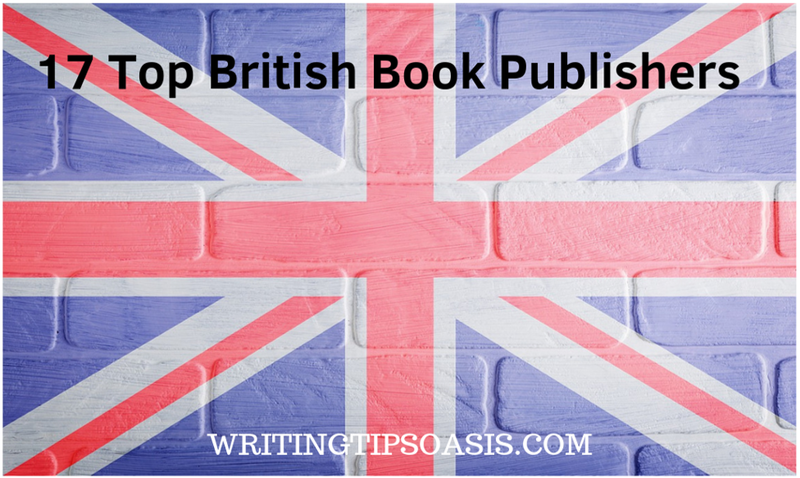 Are you an author looking for a list of British book publishers? 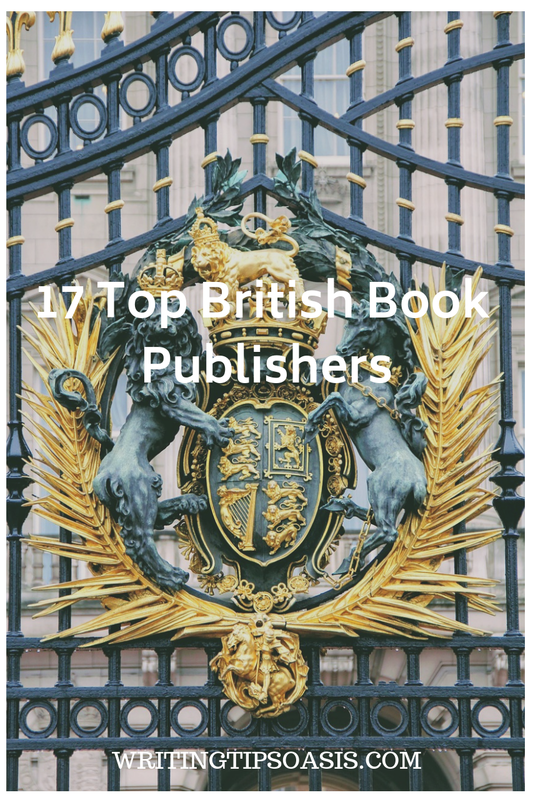 Below you’ll find out about 17 top British book publishing houses and their activities. Bitter Lemon Press is a small independent publishing company based out of Wilmington Square, London. They are a publishing press that specializes in producing works of crime fiction and darker fiction. Some of their featured titles include “Evil Things” by Katja Ivar, “Have You Come Far? A Life In Interviews” by Vaughan Grylls, and “The First Prehistoric Serial Killer and Other Stories” by Teresa Solana. They are currently open to accepting query letters about submissions via email. Ideally, Bitter Lemon Press prefers to receive queries sent by literary agents on behalf of their authors. They ask that you include a synopsis of your story along with the first chapter for consideration. You’re also strongly encouraged to review their existing catalogue of titles to make sure your project would be a good fit. Black Dog Press is a London-based publishing company that specializes in publishing illustrated nonfiction books about a wide range of contemporary topics like architecture, art, crafts, design, the environment, fashion, film, music, and general photography. Some of their new and upcoming titles include “Studio Time: Future Thinking in Art and Design” edited by Jan Boelen, Ils Huygens, and Heini Lehtinen, “Out of Ice: The Secret Language of Ice” edited by Jane Warrilow and Elizabeth Ogilvie, and “Stephen Appleby-Barr: The Pale Path” by Mark Kingwell. While Black Dog Press is currently not actively seeking submissions, you’re still encouraged to submit a query letter or book proposal via email. It’s highly recommended that you have your literary agent submit these documents on your behalf. For general inquiries or more information, you can also use their website’s online contact form to reach their team. Atlantic Books is an independent publishing company based out of London, UK. With several imprints under its name, including Allen & Unwin, Corvus, and Grove Press, Atlantic Books publishes a wide range of literary fiction and nonfiction titles. Some of their latest releases include books like “Friends and Traitors” by John Lawton, “Lab Rats: Why Modern Work Makes People Miserable” by Dan Lyons, and “No: The Power of Disagreement in a World That Wants to Get Along” by Charlan Nemeth. They unfortunately do not accept unsolicited submissions. However, if you’re an author with literary representation, you’re still highly encouraged to have your agent submit a query letter or book proposal on your behalf. For general inquiries or more information, you can contact the team at Atlantic Books via email. Carcanet Press is a UK-based independent publishing company that is supported by the Arts Council England. They have a number of imprints under their name, publishing everything from literary fiction, nonfiction, poetry collections, film, audiobooks and more. Some of their latest titles include “At the Brasserie Lipp” by Michael Edwards, “Gallop: Selected Poems” By Alison Brackenbury, and “Thousandfold” by Nina Bogin. Carcanet Books accepts query letters and book proposals via email throughout the month of July. You’re strongly encouraged to send a cover letter detailing your contact information, a brief synopsis of your manuscript, and the first six to ten pages of your work. Be sure to review their submission guidelines before proceeding. For general inquiries or more information, you can contact the team at Carcanet through their website’s online contact form. Faber & Faber (also simply known as Faber) is a London-based publishing company that was founded all the way back in 1929. They’ve published works by famous authors like Sylvia Plath, T.S. Elliot, and Ted Hughes. They publish a wide range of fiction, nonfiction, poetry, and drama. Some of their latest titles include “For the Good Times” by David Keenan, “The Wall” By John Lanchester, and “Golden Child” by Claire Adam. They are unfortunately no longer accepting unsolicited submissions for works of fiction, nonfiction, plays, screenplays, or children’s books. If you’re an author with literary representation, you’re more than welcome to have your agent submit a query letter or book proposal on your behalf. You can review their submission guidelines for more information. Hammersmith Books was voted Best Publisher of 2017 by The People’s Book Prize. Established in 2009, Hammersmith Books was established with the primary aim of publishing books about mental and physical health. Some of their featured titles include “Get Tough with Type 2 Diabetes” by Dr. David Levy, “A User’s Manual for the Human Body” by Alex Wu, and “A Kitchen Fairytale” by Iidamaria van der Byl-Knoefel. While they are currently not actively seeking new submissions at this time, you’re more than welcome to send a query letter via email. If you’re an author with literary representation, it’s highly advised that you have your agent submit a query or book proposal on your behalf. For general inquiries or more information, you can reach the team at Hammersmith Books via email. Established in 2002, Hesperus Press is an independent publishing company based out of London, UK. They’re known for publishing the worldwide bestselling title “The Hundred-Year-Old-Man Who Climbed out of the Window and Disappeared” by Jonas Jonasson, along with many other titles like “How to Live On 24 Hours a Day” by Arnold Bennett, and “The Wrong Box’ by Robert Louis Stevenson. At Hesperus, they publish everything from children’s fiction, to history books, to nonfiction titles about travel and food. They unfortunately do not accept unsolicited manuscripts and are not open for new projects at this time. You’re strongly encouraged to check back at a later date and have a literary agent submit a query letter or book proposal on your behalf at that time. For more information or general inquiries, you’re welcome to reach out to the team at Hesperus through their website’s online contact form. Korero Press is a London-based independent publisher that is known for their colorful and high-quality illustrated nonfiction books, primarily touching on the subject of art. Some of their titles include “Day of the Dead: And Other Works” by Sylvia JI, “Death and the Eternal Forever” by Ron English, and “Figures from Life” by Patrick J. Jones. They are currently accepting book submissions and book proposals via email. You’re strongly encouraged to review their catalogue of existing and upcoming titles to make sure that your project is a good fit. They’re currently interested in books about pop surrealism, street art, illustrations, and pop culture and art. Be sure to review their submission guidelines before sending any of your work in for consideration. Ladybird Books is an imprint of Penguin Publishing that specializes in publishing children’s stories and children’s picture books. They also have a wide selection of books for babies and toddlers. Some of their titles include “Hey Grandude!” by Paul McCartney and Kathryn Durst, “Who’s Going to Bed?” by Abie Longstaff and Eve Coy, and most famously “Where is Peter Rabbit?” by Beatrix Potter. They are currently closed to submissions, but strongly encourage you to check back at a later date. Ladybird Books is very interested in books written by underrepresented voices, like ethnically diverse writers or members of the LGBTQ communities. For a better chance of having your project considered, it may be a good idea to obtain the representation of a literary agent who can submit a query letter or book proposal on your behalf. Lawrence & Wishart is an independent publishing house based out of Dagenham, UK. They’re known for publishing books with slightly more risqué points of view with the primary goal of opening up respectful discourse and debate. Some of their titles include “The Corbyn Effect” edited by Mark Perryman, “Trico: A Victory to Remember” by Sally Groves and Vernon Merritt, and “Striking Women: Struggles & Strategies of South Asian Women Workers From Grunwick to Gate Gourmet” by Sundari Anitha and Ruth Pearson. While they are not actively looking for new submissions, you’re encouraged to submit a query letter via email to their editorial team. If interested in your project, someone should reach out to you shortly about sending your full manuscript for consideration. For general inquiries or more information, you’re also welcome to use their website’s online contact form to get in touch. Legend Press is an independent publishing company that was established in 2005 by Tom Chalmers. This rapidly expanding publishing company publishes everything from literary fiction, women’s fiction, historical fiction, and crime fiction. Some of their most recent titles include “The Geography of Friendship” by Sally Piper, “The Lost Girls of Camp Forevermore” by Kim Fu, and “Into the River” by Mark Brandi. Due to the high volume of submissions that they have received, they are unfortunately closed to submissions at this time. You’re strongly encouraged to check back at a later date when this status may change. For general inquiries or more information, you can reach the team at Legend Press via email. The Do Book Company is an independent publishing house located in Shoreditch, London. They publish books in print, ebook, and audiobook formats to help their authors reach a worldwide audience. They publish in a wide multitude of languages, including German, French, Italian, Chinese, and Thai. They primarily publish illustrative nonfiction books about arts and skills. Some of their titles include “Do /Grow/ Start with 10 simple vegetables” by Alice Holden, and “Path: A Short Story about Reciprocity” by Louisa Thomsen Brits. They are currently not accepting new submissions at this time. For general inquiries, you can contact the team at Do Book via email. Allison & Busby was established in 1967 based out of Wardour Mews, London. They publish a wide range of literary fiction, including science fiction, fantasy, women’s fiction, historical fiction, romance, crime, mysteries, thrillers, and more. Some of their most recent titles include books like “Eagle & Crane’ by Suzanne Rindell, “Displaced” by Barbara Nadel, and “Murder at the Brightwell” by Ashley Weaver. They are open to receiving query letters or book proposals from literary agents only. Due to the high volume of submissions that they receive, they unfortunately cannot accept unsolicited material. It’s a good idea to review their catalogue of existing titles to make sure that your project would be a good fit with this publishing company prior to sending anything in for consideration. For general inquiries or more information, you can reach the team via email. Angry Robot Books is an independent publishing company that loves to publish books that push the boundaries of different genres to create something refreshingly new and unique. Based out of the UK and founded in 2009, they’ve published award-winning books like “The Queen of All Crows’ by Rod Duncan, “The Stars Are Legion” by Kameron Hurley, and “Warrior Witch” by Danielle L. Jensen. They are currently accepting book proposals or query letters from literary agents only. They unfortunately do not accept unsolicited material. If you’re an author with literary representation, be sure to review Angry Robot’s submission guidelines to make sure you meet their submission requirements. For general inquiries or more information, you can contact the team at Angry Robot Books via their website’s online contact form. Abbadon Books is an independent publishing company that specializes in publishing literary fiction that explores darker, grittier themes in styles similar to pulp fiction, steampunk, and dark fantasy. Some of their most recent titles include “Green Jay and Crow’ By DJ Daniels, “Death of a Clone” by Alex Thomson, and “Judges: The Avalanche” by Michael Carroll. They are currently open to accepting query letters or book proposals from literary agents only. They unfortunately do not consider unsolicited material. If you have a general question or are looking for more information, you can contact the team at Abaddon Books through their website’s online contact form. Canelo is an independent publishing company operating out of Southwark, London, that was founded in 2015 with the express purpose of publishing high-quality and entertaining books. Some of their titles include “A Dangerous Act of Kindness” by LP Fergusson, “Knowing You” by bestselling author Samantha Tonge, and “A Tale of Two Sisters” by Merryn Allingham. They are currently accepting submissions for commercial fiction. They’re especially interested in sagas, action/adventure stories, escapist romances, women’s fiction, and crime and psychological thrillers. If you’re interested in publishing with Canelo, you’re strongly encouraged to review their submission guidelines to make sure your project meets all of their editorial requirements. All submissions can be sent via email. 17. Frederick Warne & Co.
Frederick Warne & Co. is an imprint of Penguin Publishing. Originally founded as far back as 1865, this UK-based publishing company was on of the very first to work with renowned children’s author Beatrix Potter. Frederick Warne & Co. became an official division of Penguin in 1983. Specializing in children’s books and children’s illustrative stories, their titles include “Find Spot at the Wildlife Park” by Eric Hill, “The Tale of Kitty-in-Boots” by Beatrix Potter, and “The Further Tale of Peter Rabbit” by Emma Thompson. They are unfortunately closed to submissions at this time. Do you know of other British book publishers? Tell us about them and the books they publish in the comments box below!